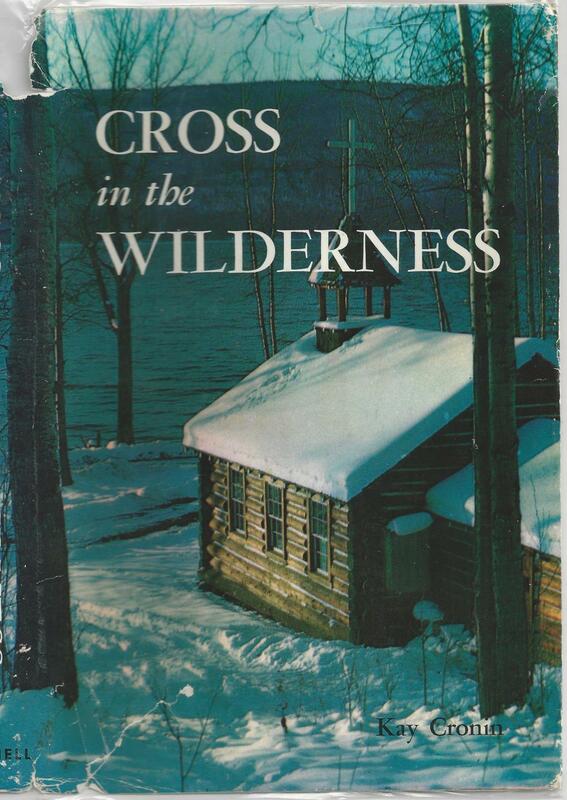 I just finished reading Cross in the Wilderness by Kay Cronin. It is the story of the Mission ary Oblates of Mary Immaculate opening up of the British Columbia wilderness in the 19th and 20th centuries. It was written in 1960 long before the term “cultural genocide” was applied to the way Canada treated its First Nations and related peoples with the residential school solution. As an Oblate Associate, I wanted to learn more about what the Oblates actually did in yesteryear and today as missionaries to our First Nations, Deni and Inuit people. There is a lot of hand wringing and rewriting of history going on right now resulting from the imminent release of the Truth and Reconciliation Report June 2, 2015. Well my conclusion is it was not all bad what the Oblates did. 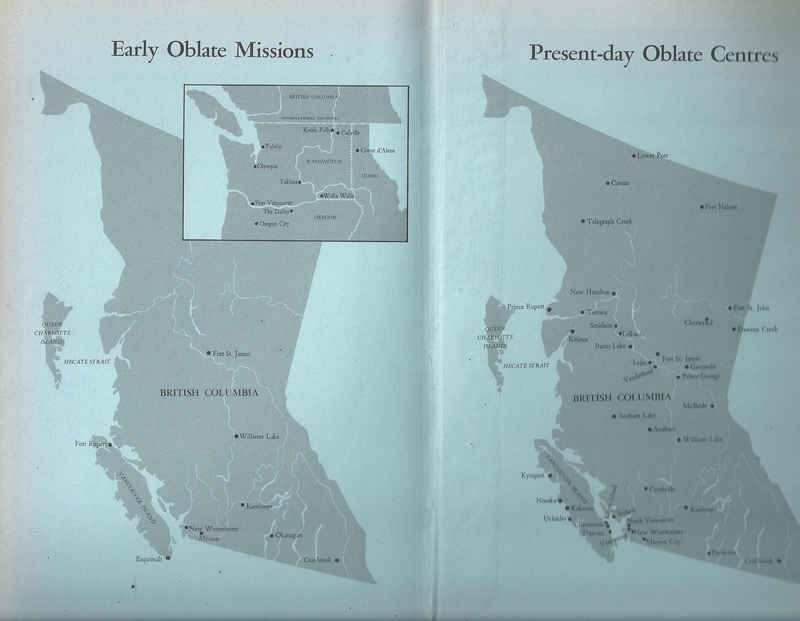 The Oblates starting around 1850 in Oregon and then moving north into B.C., founded “missions” to proclaim Christ’s kingdom and His good news. They baptized natives, taught them scripture and English or French, gave them the Eucharist, tended the sick, buried the dead and consoled the bereaved. Is this not what Christ did? The goal was to make responsible Christian citizens out of what were up until then the “children of the forest”. In addition to chapels and churches, they built schools, hospitals and whole communities where none existed before in places like Mission, Williams Lake, Kamloops, Esquimalt and New Westminister. As well they ministered to the local white community which swelled after the gold rushes in the Cranbook and Chilcotin areas. However in one section the book says that the Oblate priests and brothers brought the teachings of Christ and the elements of education to an ignorant, half-heathen and downtrodden race. Children sometimes were retained against their will to prevent them from leaving school. Often it was the European sense of cultural superiority at play more than the religious forces. I was amazed at the number of buildings – schools, hospitals and churches were built by the Oblates. They even operated a successful ranch near Williams Lake for many years as well as farmed produce and meat in order to survive. They were known as “specialists in difficult missions” by the various Popes of the era involved. It was only later that the Government in Canada got directly involved and tried to assimilate the natives by removing children from their families and forcing them to go to the residential boarding schools. They hired the various churches to run the schools. Abuses no doubt took place including the deaths of children due to disease and malnutrition. At one point there were 3000 active Oblates working across Canada in virtually every province. Today there are much fewer. So what is one to believe. Some say this was “cultural genocide” – a human rights black mark against Canada based on what we consider now to be right. Others say not so fast, a lot of good work was done in teaching languages, manners, European dress, personal hygiene and the Christian faith. However separating kids from their families and expecting them to happily learn a new culture and reject their own cultural, and family roots seems at best, naive and at worst, a sinister experiment by today’s enlightened standards. In the moment I say let’s not forget the good that these Oblates did in opening up the country and bringing civilization and humanitarian support to the natives for the first time. What do you say? Hi Dave. I knew Kay Cronin – very well in fact. She was a good friend of my mother’s and then became a beautiful friend to me. It was because of her that I made contact with the Oblates of Mary Immaculate. I might have some information that I can steer you to concerning many of our first Oblates here in Canada. Thanks Eleanor. It is truly amazing how much these pioneer Oblates accomplished. Delighted that you knew Kay Cronin.